Home→Dr. David Harrison→Before and after….. 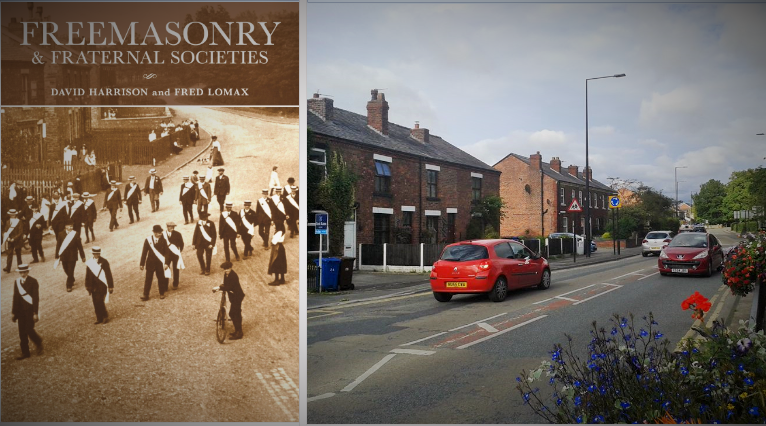 The cover of my latest book Freemasonry and Fraternal Societies reveals a great historical photo of the Rechabites walking through the village of Shevington, a village just north of Wigan in Lancashire. The date on the original photograph is given as 1917. Their walk was captured on the junction of Church Lane, Gathurst Lane and Shevington Lane, and the row of cottages (with the same chimneys) can still be seen in the new photograph. The layout of the road is still the same as the one nearly a century ago, but is of course, far busier. As I’m constantly on field trips to places of historical interest, I found a few more old photos to assemble a ‘before and after’ presentation. Here are a few I found interesting. The location of the Rechabite walk in Shevington, 1917, and the same spot in 2015. The Transporter Bridge, Widnes. The bridge was closed in 1961. It had been a crossing over the River Mersey since 1905. The same spot in 2015. The ticket office for the bridge is still standing, situated to the right of the road. 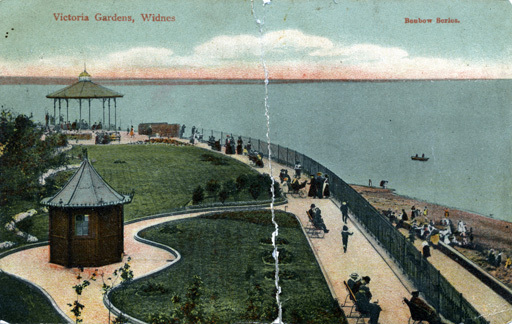 Widnes Promenade, late Victorian period. Widnes was a popular holiday resort. The Sankey Canal at Winwick Quay, c.1976. The Sankey Canal, same spot at Winwick Quay, 2015. The canal has been in filled.